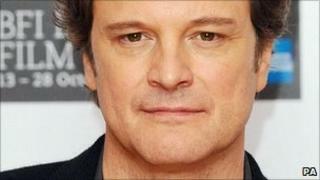 Oscar-winning actor Colin Firth has been credited as one of four co-authors of an academic paper into human brains. The King's Speech star commissioned the research when he guest edited Radio 4's Today programme in December. For his edition, he asked scientists to scan the brains of politicians to see if there were any differences depending on political leanings. The paper, hailed as a "useful contribution", has been published in the journal Current Biology. Scientist Geraint Rees, from University College London's Institute of Cognitive Neuroscience, initially scanned the brains of Conservative politician Alan Duncan and Labour's Stephen Pound for the Today programme. He then continued the research with a further 90 participants which found that Liberal and Conservative attitudes were associated with thicker areas of parts of the brain. The finding was reproduced in another sample of participants, leading researchers to estimate they could predict political leanings with 72% accuracy by looking at brain structure. New York University's Professor John Jost, one of the world's leading authorities in political psychology, told The Psychologist magazine: "It is a useful contribution because it builds on and extends previous work. "It will probably be several years before we understand the full meaning of these results. In the meantime, the field of political neuroscience could do worse than having Colin Firth as a scientific ambassador." Today's science reporter Tom Feilden is also credited as authoring the paper, along with Mr Rees' colleague, Ryota Kanai.